When I see someone expressing pride on acquiring new wealth, I recall the person who expressed happiness on donating all his property. When I see someone counting his cars, I recall the person who is happy to have nothing. When I see people preparing palatial houses with ultramodern security systems, I recall the person, who lived without doors. When I see the billionaires, I recall the relaxed fakir. Society changes with time and brings new values. Some people say that there are some eternal values. But really speaking, the choices and preference of people get changed due to the overall economic system, overall environment and media. As a child I had to daily listen to a Kabir's song "Man lagyo mero yaar fakiri main" (meaning I enjoy being without any material assets). Fakiri was a big value those days. I have been a witness to many such people who enjoyed Fakiri. (People used to enjoy Fakiri. This has almost disappeared from the planet. I saw my father enjoying Fakiri. I saw many of his friends enjoying Fakiri.) With the emergence of capitalism, this is about to disappear. I enjoyed being with Fakirs. It was great to be with a Fakir. 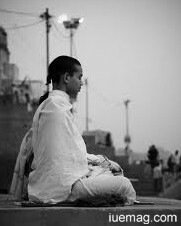 True fakir would have amazing authenticity, honesty, sincerity and commitment to the universe. He would live every moment like a leased liability to the Universe and ensure that he gives back to the society more every moment. He would practise self restraint, self regulation, frugality, and promote reading, writing and knowledge sharing. He would willingly spread real knowledge and education among masses. He will never get succumbed to minor issues. He would present to this world the most beautiful values of being with the nature from the heart. He would not damage the environment, nor cause sufferings to other living beings. He would not live to eat, but would eat to survive. He would not live to enjoy, but would happily practise detachment and enjoy being an introvert. The philosophy of Fakiri was to manifest the living styles of many socialists in those days. I was fortunate to see one such Fakir Mr. J.P. Shashtri. Shashtri ji spent his entire life dedicated to learning, studies, reading and knowledge sharing. He would enjoy being alone reading books of philosophy and meditating on himself. He donated his property worth billions of rupees to the common people just because they asked him, "We don't have any common place where we can organise our functions etc. Please donate your land to our mohalla." He used to challenge Pandits for their understanding of Hindu religion, Jain saints on their understanding of Jainism and Moulvies for their understanding of Islam. A rare prodigy, he would write with amazing ease in Hindi, Urdu, Persian, English, Sanskrit and many such languages. A few minutes with this Fakir would cheer me up and give an unforgettable memory for life. When I last met him, he was lying alone in his home, unable to walk, unable to do any work, fragile and sickened. Yet with rare satisfaction he appeared prepared for his next journey. We could hear the purr of a cat, who had stolen the milk as usual. Shashtri ji smiled at this. With great efforts he asked about well-being of my family. While departing, I tried to close the door, but he said, "Let it be open." Next month I heard that he left us all. I was just remembering my own article on him "Mulakat Ek 80 varshiy vidyarthi se" (meeting with an 80 year old student) - a person truly devoted to learning, knowledge and Fakiri.